I have been car shopping recently. It’s sooooooo much fun and also interesting to see how much cars have progressed since I last bought one. It sure has been a while. The only problem is it appears my taste has gotten more expensive as I have aged. I like to do all sorts of research into cars before buying my next set of wheels including how best to pay for it. No matter whether you’re a car buff or not, everyone has seen a car that they would love to own. Of course, money is often the biggest reason as to why many haven’t taken the step into obtaining the car of their dreams. However, you don’t have to be a millionaire to have the luxury of driving around in a nice car as there are now many options available which are totally affordable. Unless you’ve got thousands of pounds to spend, it’s unlikely that you will be able to buy your car outright, which leaves you with two choices finance or leasing can both be affordable and viable options provided you don’t overstretch yourself with anything too flashy. Finance or Leasing..Which is Cheaper? Financing your car means that at the end of your payment period you will own the car. All good in theory right? The problem with financing is that you’ve got to find a large deposit and your monthly repayments would be much higher than if you were to lease. Leasing is essentially renting the car for an agreed period of time and in general offers much cheaper monthly payments than financing does. 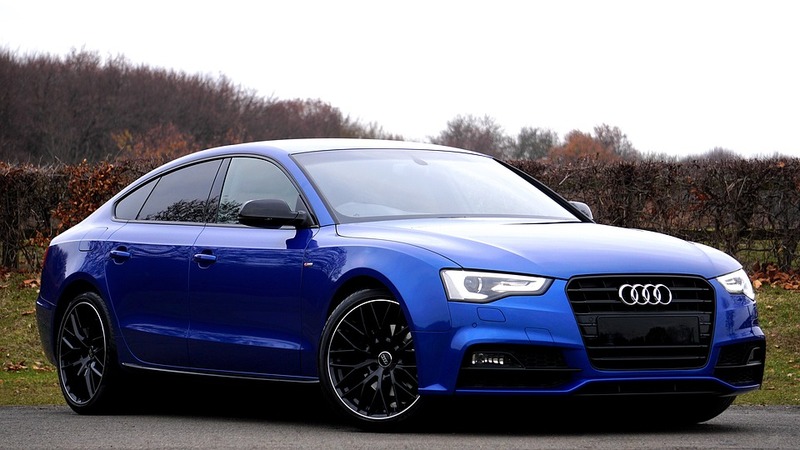 So, if you’re after a new Audi for example (I quite like these) you’d be better off going for Audi car leasing because the monthly cost would be significantly lower than if you had it on finance. Another bonus? At the end of your agreed lease you can either renew the lease for the car that you’ve chosen or go for a newer and better model! In some cases you may be best going for the leasing option because of how significantly cheaper the whole process is going to be for you unless you can afford to finance your car. By leasing though you are more likely to get the car of your dreams because your budget will be able to go that little bit further than it would financing a car. To put it simply, all you need to work out is how much you can afford each month to spend on a car. Don’t forget to add in fuel to the cost too so that you can give your dealership a figure to work with. A great way of ensuring that you have enough money is to either pick up some extra hours at work to give you some extra funds, or even set up your own small business from home that could help towards the payments you’ve got to make. Selling unwanted goods on ebay is also another way to release much needed funds. Many people worry about repairing their car if something goes wrong. Another bonus of leasing is that the repairs aren’t down to you to resolve. Just like renting a home where your landlord pays for repairs the dealership that you’ve leased from will also do the same. When buying a newer car you are of course less likely to break down yet there is still a risk that something might happen. I always like to be cautious considering most of the time I travel with my children, so another thing I am looking to do is to update / renew my breakdown cover. The AA has a range of package options available and have so many cars on the road they are always a safe bet to go with. Buying a car can be do hard sometimes! Glad to see you have a breakdown of everything. I have always bought my vehicle and driven it until it drops. Leasing sounds like it would be a really good option. Buying a car is like buying a home and it definitely takes commitment especially since you would have to maintain it. I think these are valid questions that people should be asking before they buy a car. Their is so much to think about when you decide to invest and buy a car. I am toying with the idea myself, whilst I have a child I really need one, but can become very costly. I’ve never leased a car simply because most of the people I’ve talked to about it have told me it’s a nightmare when you have to pay the fees of going over the allowable mileage. So you simply can’t do too much traveling with it which would be a real pain for us since everything is so far away here. Just doesn’t make sense. Plus, I like knowing that I actually own the car and not just borrowing it. If I’m making the investment every month, I’d rather pay just a little more so I get as much of the benefits as possible. Great tips, we are thinking about getting a new car so I will be keeping these in mind. These are some important points to remember, a car needs good service and lots of repair expenses, so we should take these points before buying the car. Car shopping is fun but definitely stressful and overwhelming. My dad’s been on a car search for a month and there’s just so many car options. Good luck car shopping! You have thought of everything to think about when buying a car! This is super informative, which makes it a great read for anyone. Thank you for sharing! Loved this article! Definitely have gone back and forth between leasing and financing with out understanding the difference between the two. They sure are. I know a few people that find leasing better. I’ve recently been thinking of buying a new car but living so close to Central London, I’m worried about spending lots of money on something that will sit on my drive for 4 days a week. I haven’t considered leasing so this could be a really good option for me. It’s an option to look at provided you use a car often enough.